Saturday 8th June - Sunday 9th June 2019 . 17+ only. 17s to 17s must be accompanied by an adult. No refunds will be given for incorrectly booked tickets. Last entry into the festival is 17.00. No re-admittance allowed after leaving the festival site. But East Gate will be open at 10am Saturday & 11am Sunday. The box office is located at East Gate and will open from 10am Saturday & 11am Sunday. No under 17's - 17 year olds must be accompanied by a responsible guardian. (Maximum of 4 X 17 year olds per responsible guardian). Do obey the laws of the land. Drugs are no more legal at a festival than in the outside world. Drug dealing and consumption will not be tolerated. 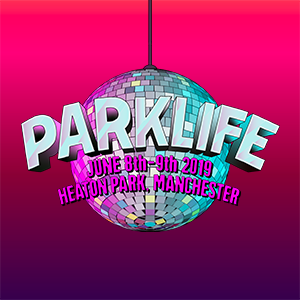 Parklife has zero tolerance for legal highs. No under 17's - 17 year olds must be accompanied by a responsible guardian aged 18 or over. (Maximum of 4 under 18's per responsible guardian). Please note valid I.D. is required upon entry.